"Google is also considering the creation of an enterprise Blogger version, as well as letting users limit access to their blogs by creating private groups, said Biz Stone, Blogger senior specialist. Although Blogger currently allows users to post text and photos to their blogs via any e-mail program, Google is looking into a tighter integration with Gmail, Stone said. 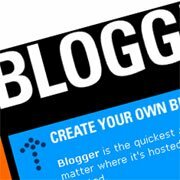 Although users can password protect their Blogger blogs with third-party software or services, Blogger currently doesn't offer native ways for users to limit access to their blogs. However, Google is mulling over the possibility of adding some native privacy features, such as the ability for users to create private groups and that way control who can view their blogs, Stone said." Blogger's development seems to have slowed down since it was acquired by Google, and many of the features found in other popular blog platforms (like categories, inline comments, plugins) are not available in Blogger. There are also frequent problems with accessing the site. I wonder what was the real reason for acquiring Blogger: the team or the fact that Blogger is a publishing platform well-suited for AdSense? This is Google's statement from 2003: "Google recently acquired Pyra Labs, developers of Blogger - a self-service weblog publishing tool used by more than one million people. We're thrilled about the many synergies and future opportunities between our two companies. Blogs are a global self-publishing phenomenon that connect Internet users with dynamic, diverse points of view while also enabling comment and participation. In the coming weeks, we will report additional details. Blogger users can expect to see no immediate changes to the service." yes, blogger has been neglected..
im completely agree, ever since Google bought them out. They should have been adding features more frequently than they have, and they have not kept up with typeahead, etc..
where are the categories, tags? it really seems that either google bought them because of the team, or it was simply a failure investment. Could not agree more. Are there any Support/Development groups which we can ask questions? It's a real shame that Blogger is so neglected. I agree with the ad-sense point of view. I wish Blogger had something like categories, more themes, and a podcast publishing feature. Ya, Blooger should have more features like Wordpress. It works but it is definitely neglected. hey , if google had to concentrate on pyra when the bought it..they would have become the social network of the world.. !! Remember the [other] blog platforms are second comers when it come to technology outputs..
Google was there first and they are also the first to neglect their users.. I am disspointed with bloggers.. Why can't I pay my $8.99 to blogger for hosting instead of Typepad ?? Can someones answer me that -- from the blogger camp ?? I've seen your blog first time and I find it interesting and informative..